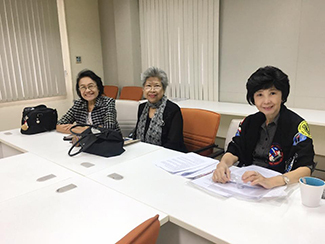 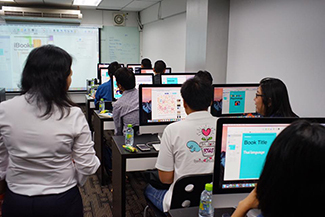 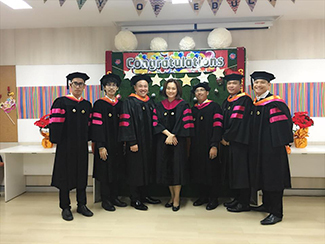 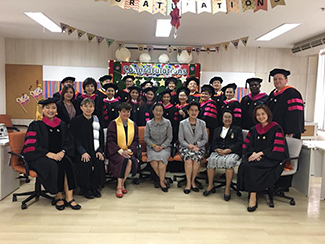 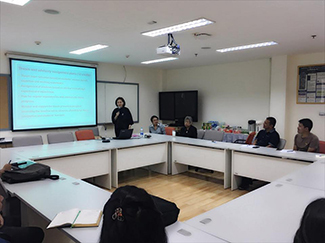 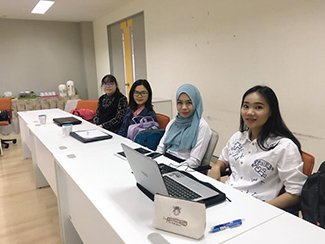 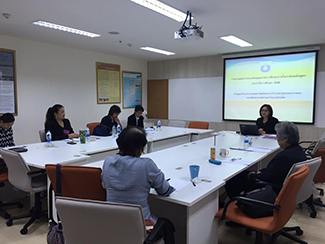 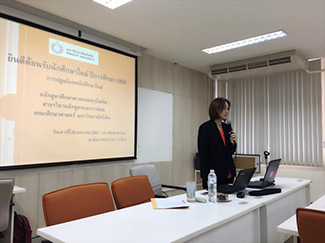 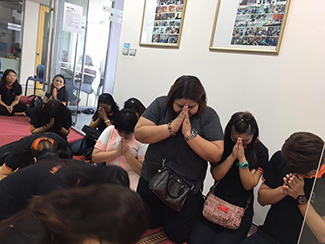 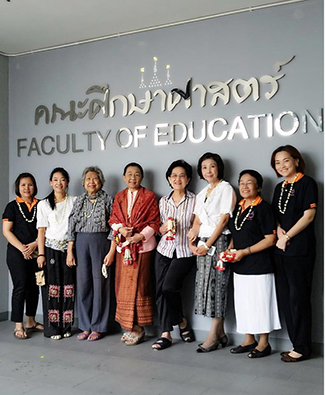 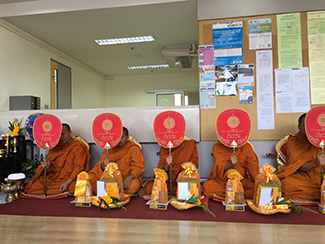 Faculty of Education, Rangsit University has regularly organized activities to support development of highly competent teaching professionals and educators to live happily and contribute to well-being of the Thai society. 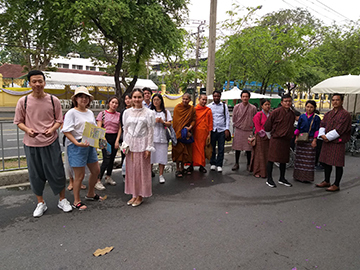 This orientation is guided by the University in creating meaningful learning experiences for graduate students, particularly study trips in the local and foreign educational contexts. 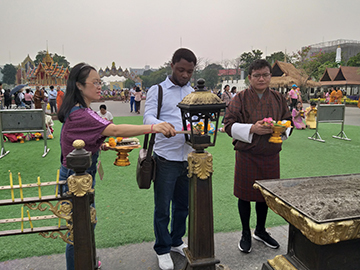 Study trip activities definitely enable graduate students to learn more about effective educational practices and cultural impacts on educational policies in different countries. 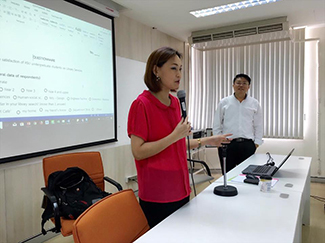 Such an opportunity can also help them to identify good educational practices for adaptation in their own school environment. 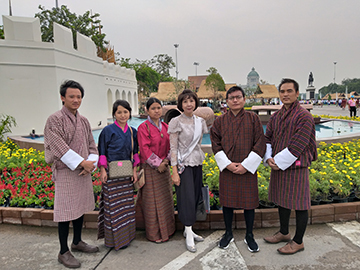 Asst.Prof.Dr.Supinda Lertlit and Dr.Pannarat Kadish of Suryadhep Teachers College led the group of Master Degree students in Bilingual and Currilulum & Instruction programs to a cultural and delightful retro atmosphere festival, “Un Ai Rak Khlai Khwam Nao” (Love and Warmth at Winter’s End) on January 15, 2019 at the Royal Plaza on the grounds of Dusit Palace and Sanam Suea Pa in Bangkok. 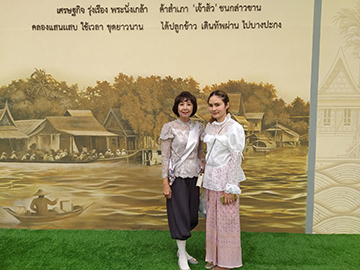 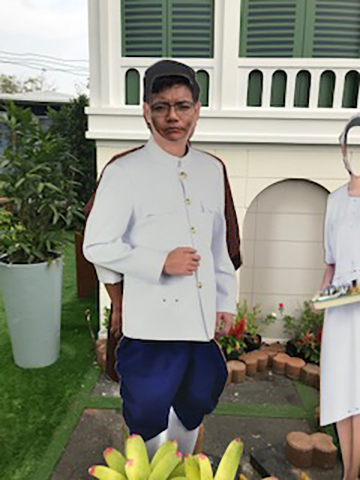 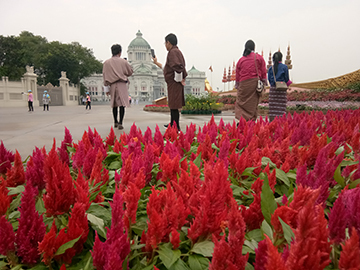 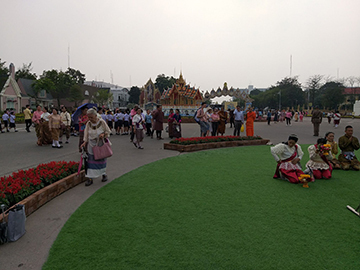 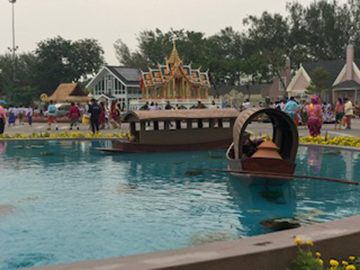 The festival not only brought happiness and fun to the students but reflected the magnificence of Thai arts, culture, exhibitions, and traditions, it also provided them with the opportunity to learn more about Thai history and experience numerous species of plants and fantastic artistic creations. 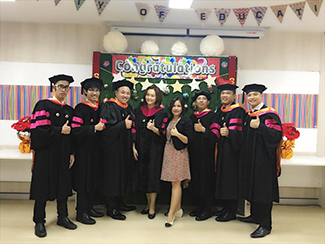 M.Ed.in Curriculum and Instruction Program staff members and students attended Faculty of Education merit making ceremony on Sunday 8th April, 2018 at Faculty of Education, Rangsit University. 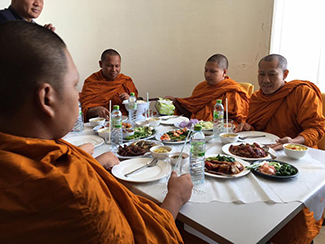 In this regard, the monks gave a sermon on “Dharma for Teachers”. 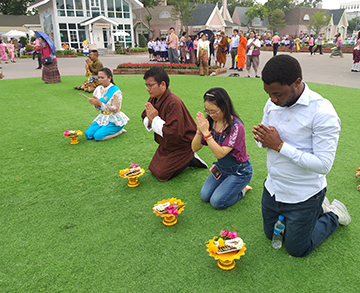 All staff members and students were given a blessing from the monks. 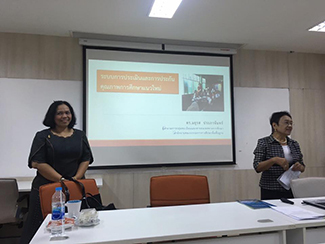 Dr.Nipaporn Chalermirundorn, Director of M.Ed. 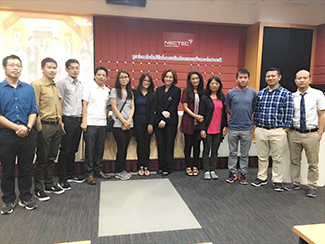 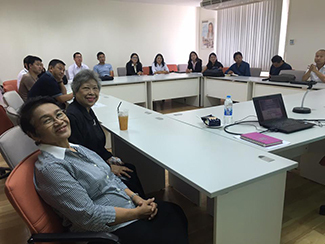 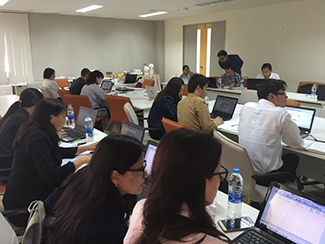 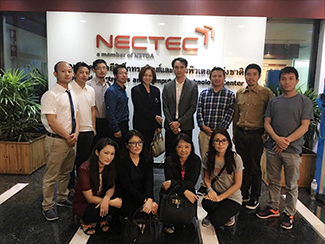 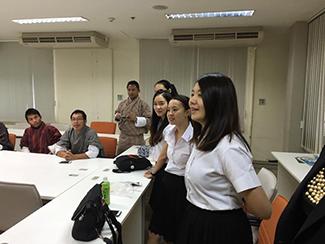 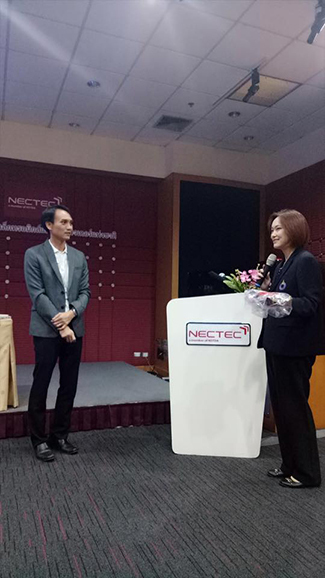 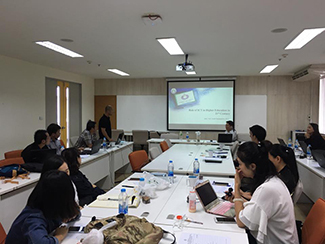 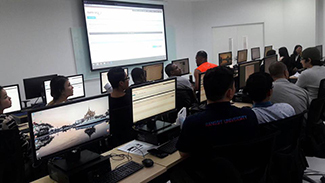 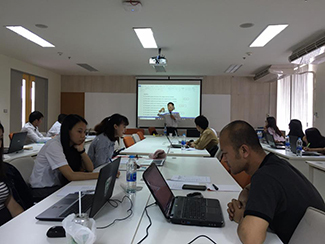 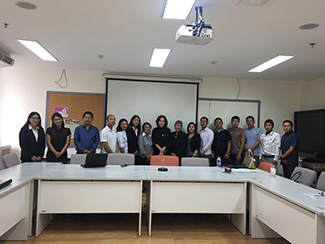 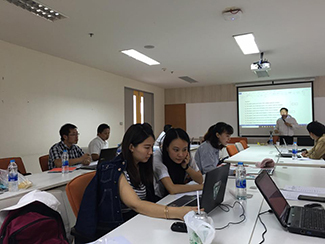 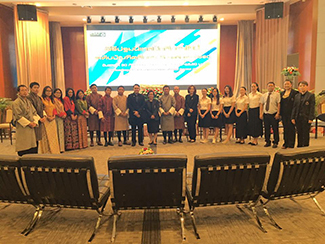 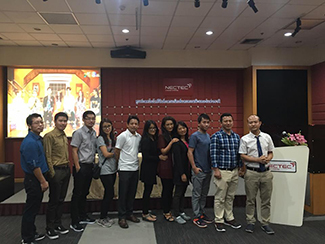 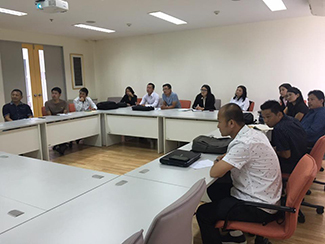 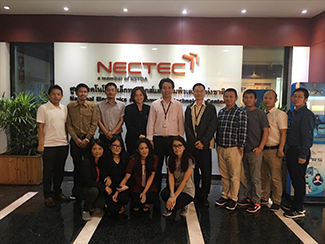 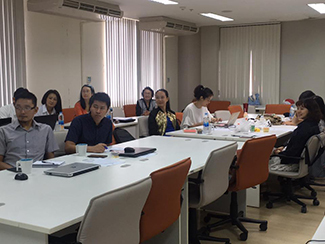 in Curriculum and Instruction Program and the students on EDC 624 Seminar on Critical Issues and Innovations in Education had a study trip at Thailand's National Electronics and Computer Technology Center (NECTEC) on Tuesday 20th March, 2018. 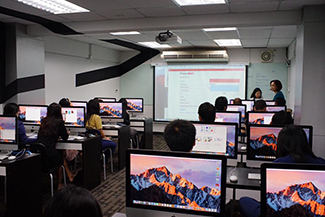 The students gained a lot of new experience and knowledge in Technology for Teaching and Learning in the 21st Century. 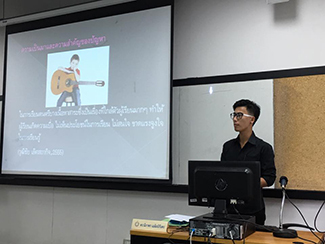 M.Ed. 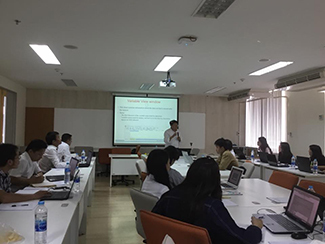 in Curriculum and Instruction Program Seminar and Workshop on "Quantitative Analysis for Educational Research"
M.Ed.in Curriculum and Instruction Program staff members organized the seminar and workshop on"Quantitative Analysis for Educational Research" on Friday 23rd February, 2018 and Friday 2nd March, 2018 at Room 3-612 by Assistant Professor Dr.Kowit Rapeepisal from College of Information and Communication Technology, Rangsit University. 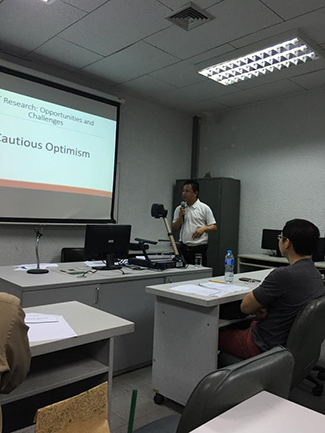 Seminar on "ELT Research: Opportunities and Challenges"
Dr.Nipaporn Chalermirundorn, Director of M.Ed. 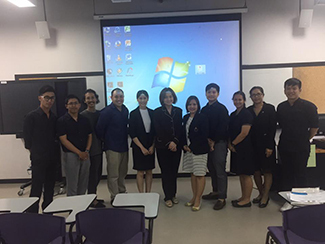 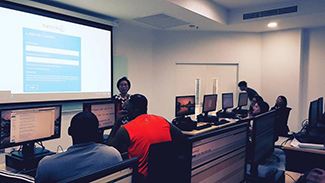 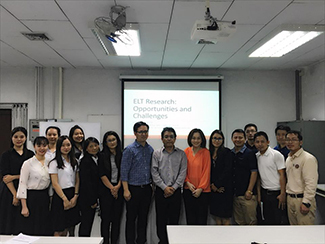 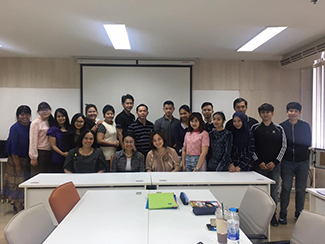 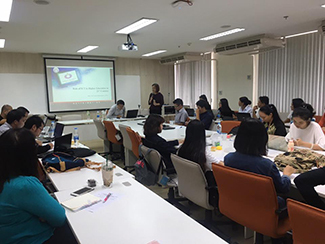 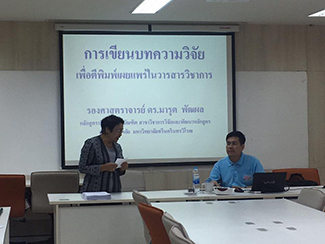 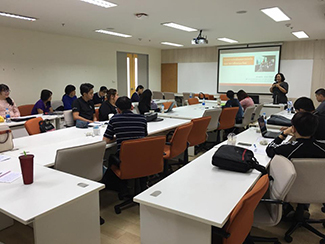 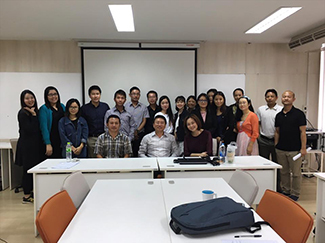 in Curriculum and Instruction Program and Program students attended a fantastic and informative talk on "ELT Research: Opportunities and Challenges" by Assistant Professor Dr.Saksit Saengboon at Chulalongkorn University Language Institute. 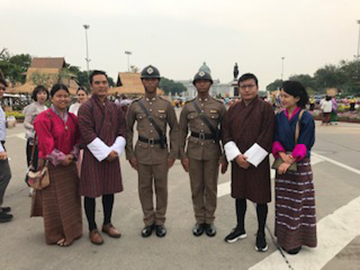 Very thankful to Dr.Pramarn Subphadoongchone for the kind hospitality. 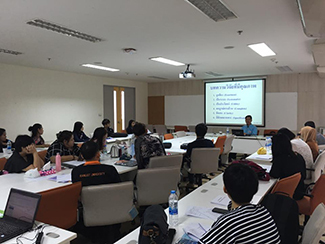 The students of M.Ed. 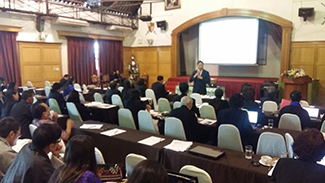 in Curriculum and Instruction attended “The 2nd APHEIT-ED Academic Conference 2018: Challenges in Education for Thailand 4.0 on 10-11 February, 2018 at Khao Yai Resort. 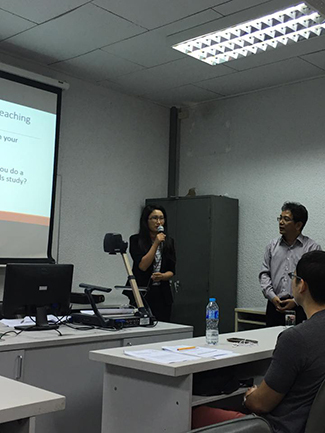 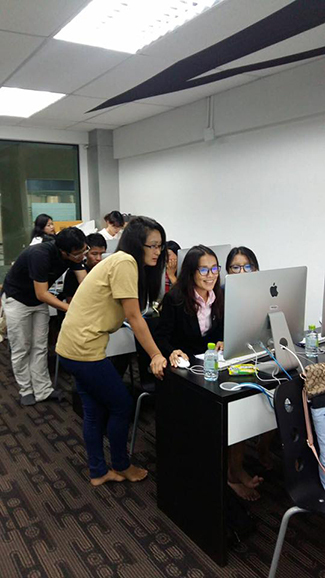 This year, C&I students submitted the academic papers for a presentation. 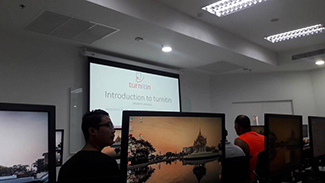 M.Ed.in Curriculum and Instruction Program students attended "Turn it in" Training and Workshop organized by RSU Graduate School on Friday 27thJanuary, 2018 at RSU Student Center, Room A-505. 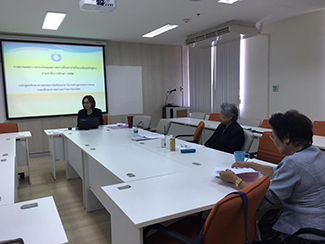 Dr.Nipaporn Chalermirundorn, Director of M.Ed. 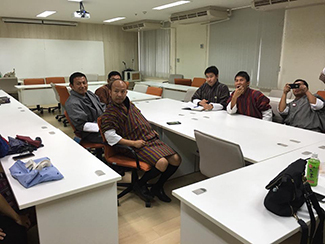 in Curriculum and Instruction Program and Program staff members organized the First Orientation of academic year 2/2017 on Saturday 20thJanuary, 2018 at Room 3-602. 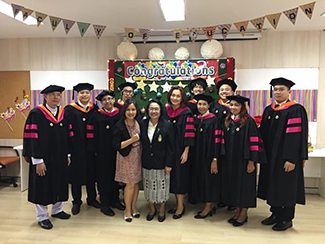 M.Ed.in Curriculum and Instruction Program staff members congratulated all Program graduates of academic year of 2016. 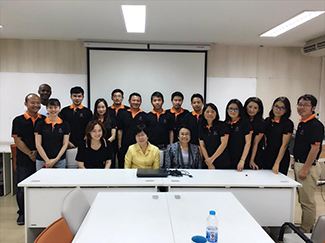 The last orientation was arranged at the Faculty and there was group photo taking before the rehearsal of the commencement ceremony at RSU Auditorium on Friday 15th December, 2017. 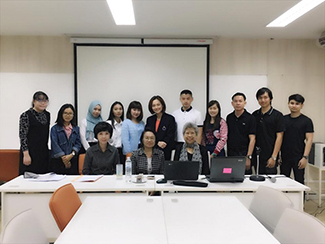 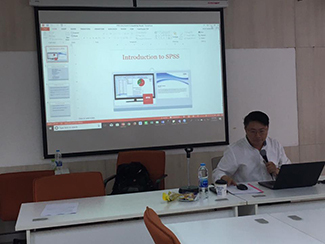 M.Ed.in Curriculum and Instruction Program staff members organized the seminar and workshop on “iBooks as teaching and learning materials” on Thursday 23rd November, 2017 (9:30-11:30 AM) at RSU Cyber Computer Lab, Building 7. 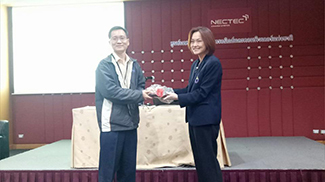 We would like to thank RSU Cyber University. 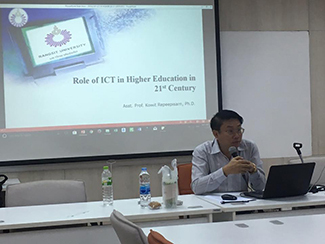 M.Ed.in Curriculum and Instruction Program staff members organized the seminar and workshop on "Roles of ICT in Higher Education for the 21st Century" on Monday 13th November, 2017 at Room 3-612 (9:30-11:30 AM) by Assistant Professor Dr. Kowit Rapeepisal from College of Information and Communication Technology, Rangsit University. 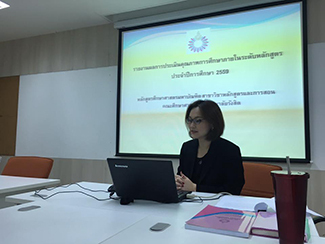 Dr.Nipaporn Chalermirundorn, Director of M.Ed. 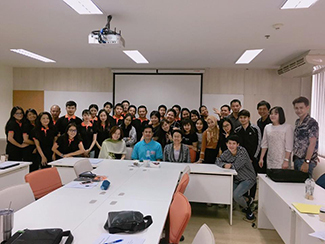 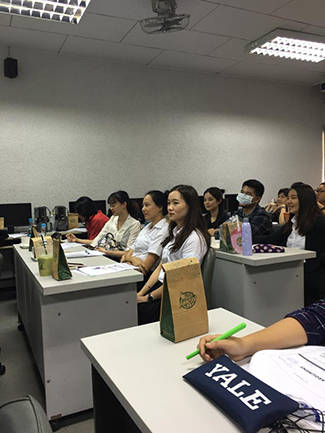 in Curriculum and Instruction Program and Program freshmen attended Graduate School First Orientation Year 2560/2017 organized by Graduate Office of Rangsit University on Saturday 30th September, 2017 at Building 1, Room 1-301. 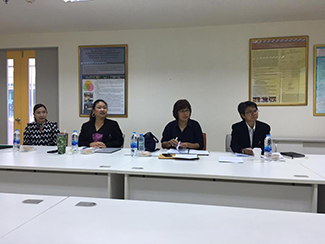 M.Ed.in Curriculum and Instruction Program staff members welcomed the committee for Internal Program Quality Assurance on Tuesday 19th September, 2017. 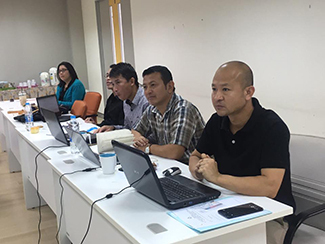 The committee conducted six audit checklists with thirteen quality indicators assessment. 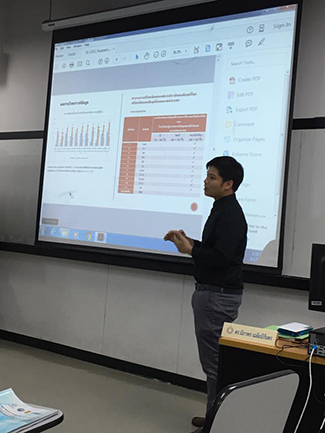 The program was assessed with good scores. 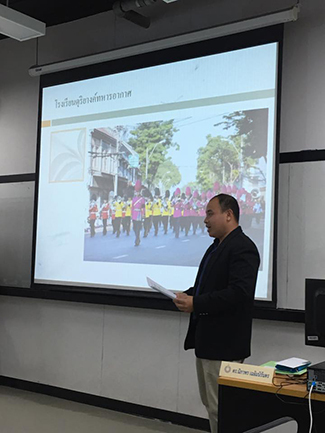 Dr.Nipaporn Chalermirundorn, Director of M.Ed. 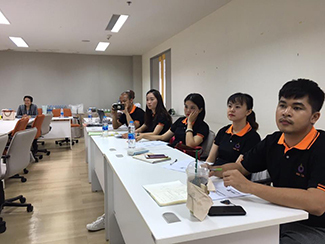 in Curriculum and Instruction Program and Program staff members organized the First Orientation of academic year 1/2017 on Thursday 24th August, 2017. 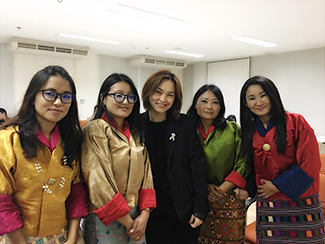 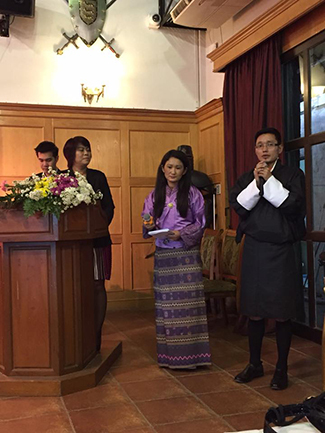 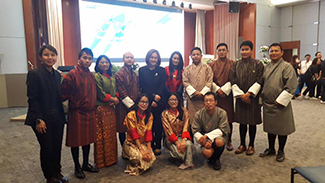 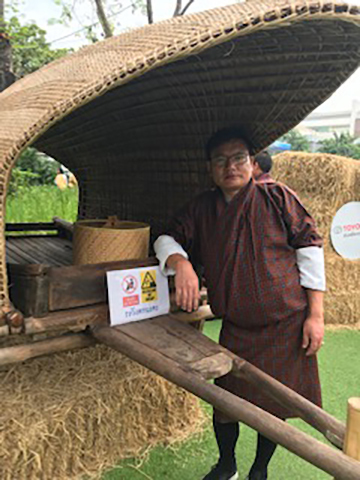 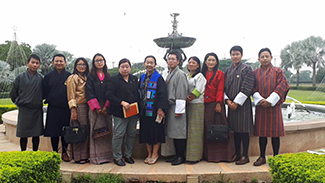 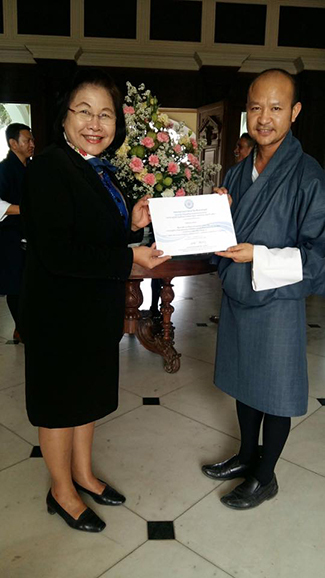 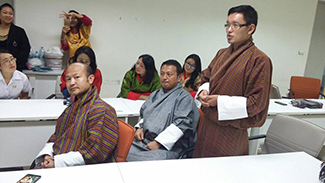 This year, there are 11 scholarship students from Bhutan. 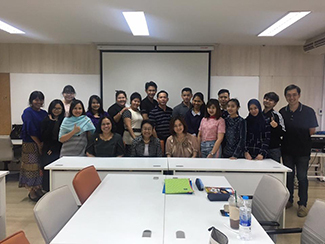 The students of M.Ed. 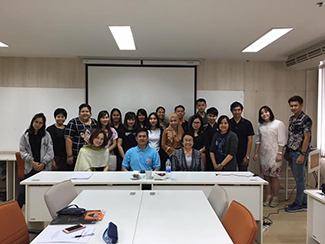 in Curriculum and Instruction attended “The 12th RSU-National Research Conference” by Graduate School, Rangsit University on Thursday 17th August, 2017. 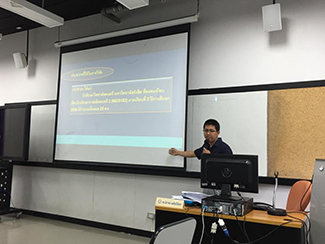 This year, six students’ research articles were accepted for a presentation.